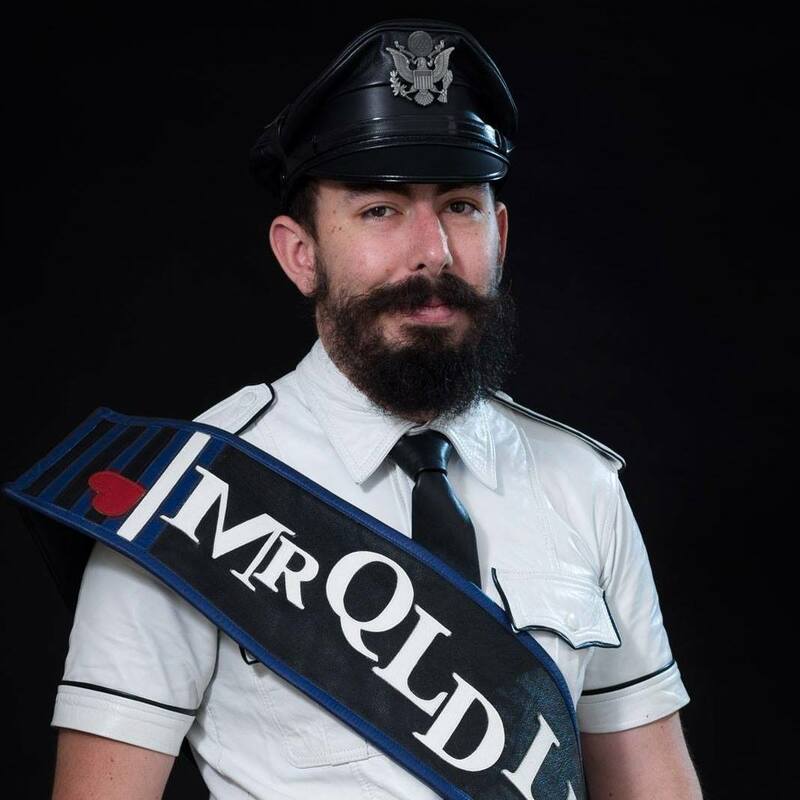 As it is coming to the end of my year as Mr Queensland Leather, I can look back at my year with pride, amusement and enjoyment. The title year started out with me finding my feet and deciding how I was going to mark the year as my own and how I was going to promote BootCo and promote the causes that were near to my heart. I had already begun to promote BootCo to a younger generation before my time as MQL through Boot Youth and I continued to do so. I also wanted to get the club to interact more with the wider Australian leather community, I therefore reciprocated the invitation by Sydney Leather Pride to be part of their Mardi Gras contingent by inviting Mr Sydney Leather, Tim Ball to BootCo. I also participated in the first Australian BLUF event in Melbourne, attended by many leather men from all over Australia and beyond. I then attended Code Black soon after and met Stephen Morgen, Mr Laird Leatherman. It was great to meet so many leathermen and to form connections in person with those who I had been chatting with online. Meeting Tim and Stephen was a big help later on at IML as I did not feel so alone. The IML competition itself is not very interesting as it consisted mostly of rehearsals for stage appearances. I was not prepared for the important part of the competition which is the judge’s interview. The most rewarding part of the competition is the people you meet. I’ll remember the IML contestants of my year forever. The bonding achieved in those few days was a joy to experience and I have gained many new friends from across the seas. We continue to support each other when we are going through tough times and support each other’s causes. I’ve learned a lot as MQL. I’ve learnt about brother solidarity, both from my time at IML and the support I received from BootCo members. Leather brotherhood is unique, we feel a bond even if we haven’t met and are willing to offer support. Todd Harris, Mr Chicago Leather, proved this when he was instrumental in helping me out when I forgot one of my meds; a very difficult task in the USA. He did this after having only met me once before at Mardi Gras. Another example is Jim Drew, Mr Washington State Leather, who offered to share his room with me having never met before; the competition would have been more difficult without his help. These and other kindnesses from my IML brothers and BootCo members gave me a great sense of community. I learnt that the leather community is capable of great unity. I learnt to take great pride in this sense of community and brotherhood as it brings the leather community closer together. Some of my regrets about my time as MQL is not engaging enough with the older generation of leathermen at BootCo. These men have great knowledge and experience with the leather community. I wish I could have had some of that knowledge and a sense of that experience before I went to IML. Passing on this knowledge to those new to the leather scene is important to create a sense of community and to know where we have come from and what we’ve been through. I look forward to seeing what the next MQL will bring to the community.